As a recognized leader in aviation and aerospace education, Embry-Riddle offers a Master of Science in Aerospace Engineering program that prepares graduates for a successful career designing aircraft, spacecraft, satellites and more. This graduate degree is designed for students who already have a degree in Aerospace Engineering or a related engineering field. The curriculum provides a favorable balance of practical and theoretical training using the most current techniques and tools available. Our expert faculty have industry experience and provide students first-hand knowledge, enthusiasm and guidance. Students augment their engineering and science background with studies in computational fluid dynamics, aeroacoustic modeling, rotorcraft aerodynamics, flow control, air-breathing hypersonic and rocket propulsion, autonomous unmanned air and ground vehicles. Studies also include aircraft and spacecraft guidance, navigation and control, aeroelasticity, composites, nanomaterials, smart materials, structural health monitoring, computational structural mechanics, and design optimization, as well as other topics in aerospace engineering. This distinctive curriculum paves the way to aerospace research and development or a career in engineering education. Housed in the Department of Aerospace Engineering in the College of Engineering at ERAU’s Daytona Beach Campus, the MSAE degree program prepares students for careers in the aerospace industry or in research and development. The Department of Aerospace Engineering has the world’s largest Aerospace Engineering student enrollment and its graduate program is currently ranked 27th (tied) in the U.S. News and World Report. Get access to the most up-to-date technology and laboratories, including Labs at the new MicaPlex for Engineering and Aerospace, such as: Advanced Dynamics and Controls, Advanced Materials, Composites Laboratory, Gas Turbine, Large Systems, Structures, and Wind Tunnel. Our nearby Eagle Flight Research Center has a 10,000-square-foot hangar with convenient runway access at the international airport. Being adjacent to Daytona Beach International Airport, as well as just 50 miles north of Kennedy Space Center, ERAU’s Daytona Beach Campus puts students in the middle of the aerospace industry. The Master of Science in Aerospace Engineering (MSAE) provides formal advanced study, preparing students for careers in the aerospace industry and in research and development. Students can select the thesis option or the non-thesis option. The degree program is planned to augment the individual student’s engineering and science background with adequate depth in areas of computational fluid dynamics, aeroacoustic modeling, rotorcraft aerodynamics, flow control, Propulsion design and analysis, heat transfer, air-breathing hypersonic and rocket propulsion, autonomous unmanned air and ground vehicles, aircraft and spacecraft guidance, navigation and control, aeroelasticity, composites, nanomaterials, smart materials, structural health monitoring, computational structural mechanics, and design optimization, as well as other topics in aerospace engineering. Candidates for the program can select courses that prepare them for the aerospace engineering profession or that prepare them to continue on to doctoral studies. The degree program requires a minimum of 30 credit hours of graduate-level work. To remain on track for Thesis work: upon completion of the first 3 credit hours of Thesis, the student is required to submit a Topic Statement. Upon completion of the second 3 credit hours of Thesis, the student is required to conduct a pre-defense. Consult with the graduate program coordinator for additional information. MA 502 or EP 501 for both the Aerodynamics and Propulsion and the Structures and Materials Concentrations, and MA 502 or MA 510 for the Dynamics and Controls Concentration. Students are encouraged to consult an advisor within their respective areas. AE 700 Advisors must be AE Department faculty. This area includes Aerodynamics, Propulsion, Computational Aero and Fluid Dynamics, Transition and Turbulence, Aeroacoustics, Heat Transfer, and Combustion. This area includes the six degrees of freedom rigid body dynamics of aerospace vehicles, linear and nonlinear modeling and simulation of the dynamics, state and parameter estimation and the control of aerospace vehicles. This area includes Structural Analysis, Vibration, Nondestructive Testing, Composite Materials, Elasticity, and Design Optimization. A maximum of 3 hours of AE 596, Graduate Internship in Aerospace Engineering, may be counted toward Graduate Electives degree requirement for the non-thesis option only. A maximum of 3 hours of AE 699, Special Topics in Aerospace Engineering, may be counted toward Graduate Electives degree requirement for the non-thesis option only. AE 699 advisors must be AE Department faculty. For professionals working in aerospace engineering as well as those who dream of a career in this exciting industry, Embry-Riddle’s Master of Science in Aerospace Engineering has been one of the field’s most sought-after degrees for decades. Now for the first time, you can earn this esteemed degree entirely online, from the comfort of your home. Based on the same curriculum used by our renowned Daytona Beach campus and taught by the same renowned professors, the MSAE will prepare you to participate in and even lead cutting-edge research, innovation and development. You will enhance your scientific background in the areas of aerodynamics & propulsion, dynamics & control, and structures & materials, as well as explore the challenges facing military and commercial aircraft and spacecraft design and development, and you will develop the skills needed to conquer them. With this flexible online platform, you can interact with professors and students on your schedule, from anywhere in the world. And because the classes can be taken at your convenience within the semester, you will not suffer career and family disruptions. No commute, no rigid classroom hours, and no demanding schedule. It is education designed around your work and life schedules. Since our founding, we’ve provided an unsurpassed education in the aeronautical industry and have established partnerships with key players in the aviation, aerospace and engineering fields. You’ll have the opportunity to become part of a network of nearly 120,000 alumni working for some of the world’s most innovative companies. The core of the aerospace engineering program was crafted to augment the individual student’s engineering and science background and will initially focus on aerospace structures and materials. Within the next two years the program will begin expansion to include the areas of aerodynamics & propulsion and dynamics & controls. 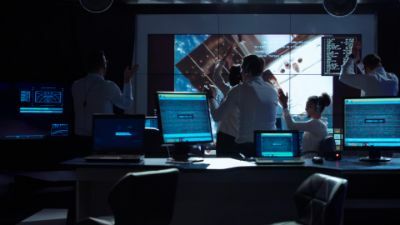 Aerospace engineers are in huge demand for industries from military services to space travel, and the right degree from a prestigious institution can open doors for a lifetime. Embry-Riddle’s Master of Science in Aerospace Engineering (MSAE) has been one of the field’s most sought-after degrees for decades. You will develop the skills to conquer challenges currently facing military and commercial air and spacecraft technology. You’ll be prepared to participate in and lead cutting-edge research projects. You’ll gain entry into the highest levels of private and government operations. And now, you’ll be able to get your MSAE from the convenience of your home. No commute, no classroom, no rigid schedule. It’s education designed around your life. After completing the MSAE, you will be prepared to participate in the development of military and commercial aircraft, spacecraft designs, and government projects. You will also be positioned to continue your studies with advanced research through programs such as Embry-Riddle’s Ph.D. in Aerospace Engineering. Provide evidence of an undergraduate Bachelor of Science degree in Aeronautical or Aerospace Engineering, or equivalent with a cumulative grade point average (CGPA) of 3.0 or higher, on a 4.0 scale. If earned in the United States, the degree must be from an ABET-accredited program (accredited by the Engineering Accreditation Commission, EAC). Applicants with graduate coursework must meet the established graduate transfer CGPA. Students with a Bachelor of Science or equivalent degree in other engineering disciplines, who otherwise meet the requirements for full admission, may also be admitted to the MSAE program. The Graduate Records Examination (GRE) is required. Submit (3) letters of recommendation, including (2) from a recent instructor. Submit a current resume outlining your education, work experience, special activities and awards. Note: Graduates of Embry-Riddle Aeronautical University with at least a 3.2 undergraduate GPA may be excused from the GRE, letters of recommendation, and Statement of Objectives requirements. Research that could lead to more lightweight, efficient aircraft wings, orthopedic implants, and a host of other consumer technologies, spearheaded by Dr. Ali Tamijani, has received a highly competitive, five-year, $500,000 National Science Foundation (NSF) Early Career Award.